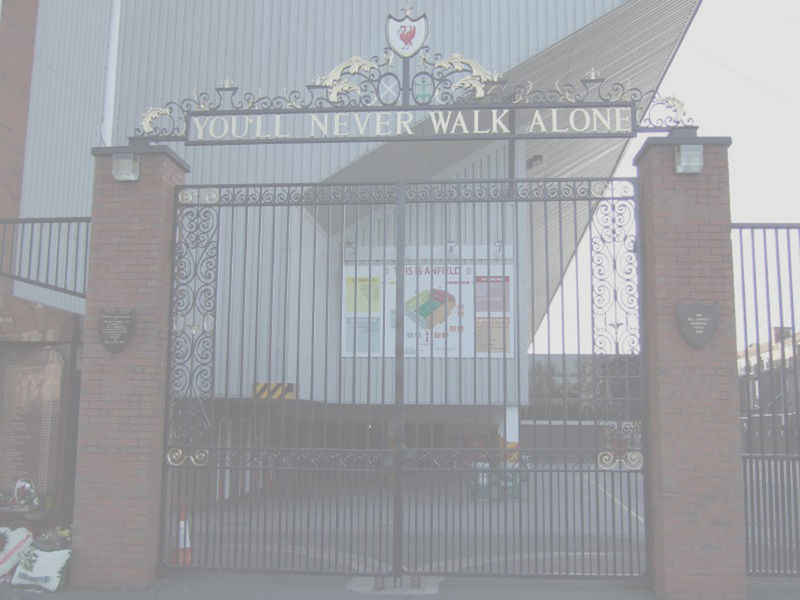 Liverpool participated in UEFA competitions both in seasons 1996-1997 (European Cup Winners Cup) and 1997-1998 (UEFA Cup). 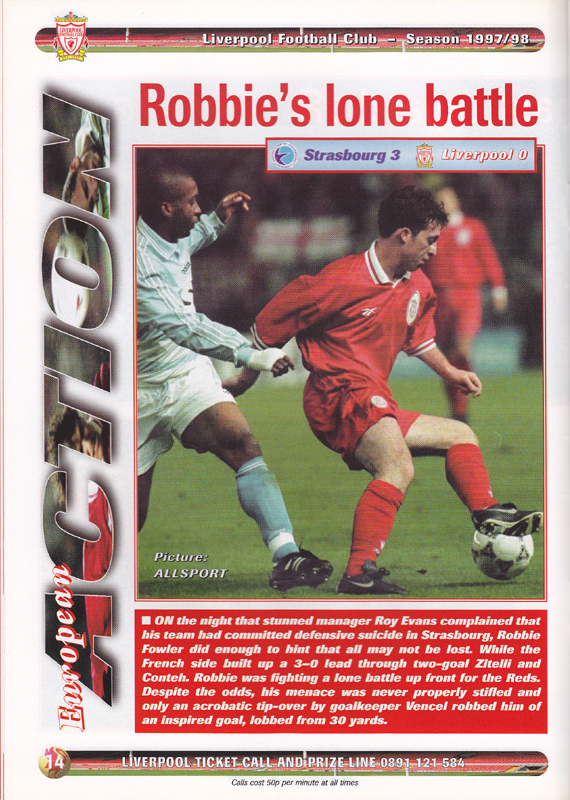 On 21 October 1997, Liverpool played against Strasbourg of France in the UEFA Cup second round 1st leg in an away match. Owing to the French broadcasting restriction law "Loi Evin", the Carlsberg sponsor logo was dropped out. Featured Robbie Fowler wearing the 1997-1998 UEFA home match shirt without Carlsberg sponsor in the second round 1st leg against Strasbourg. 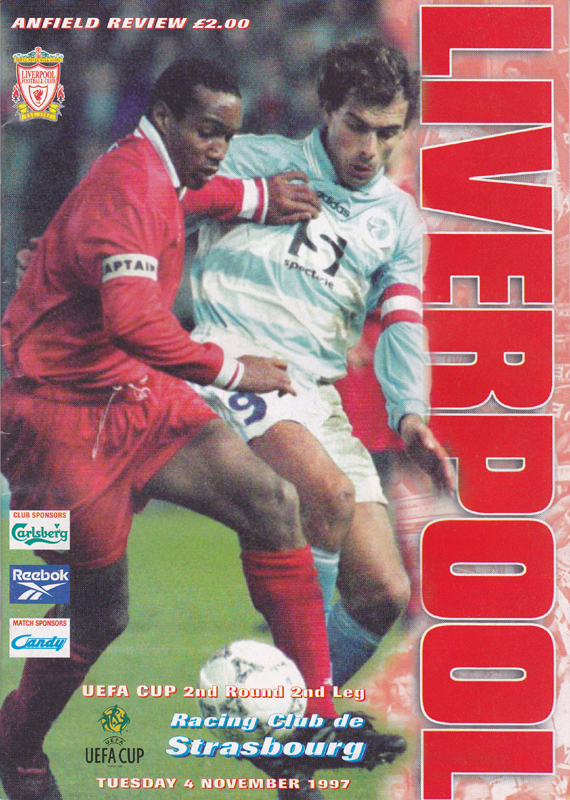 Featured John Barnes wearing the 1997-1998 UEFA home match shirt without Carlsberg sponsor in the second round 1st leg against Strasbourg. 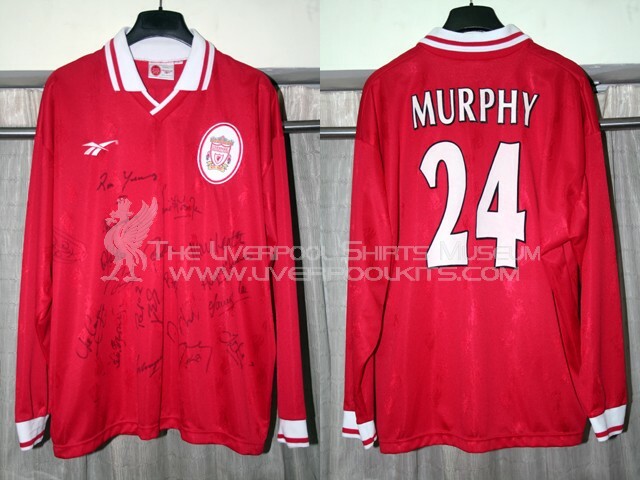 Liverpool 1997-1998 UEFA Cup Home Player Shirt (No Carlsberg) - Number 24 shirt belongs to Danny Murphy. The Carlsberg sponsor was dropped in UEFA competitions against French team under the "Loi Evin" law. 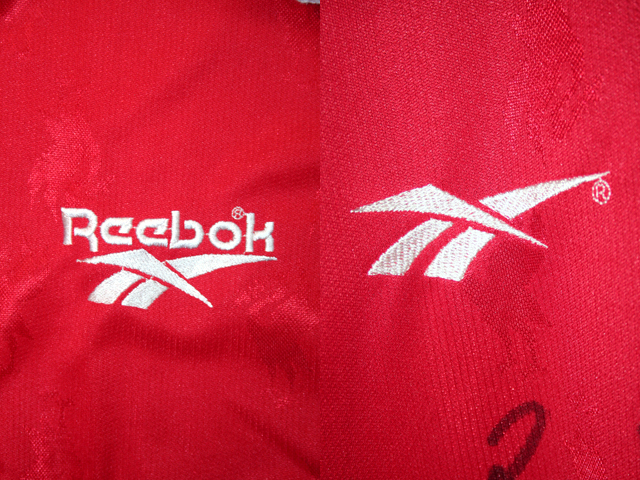 Apart from dropping out the Carlsberg sponsor, the UEFA Cup player shirt also had a simplified Reebok motif. Only the slashes logo was stitched on the shirt. 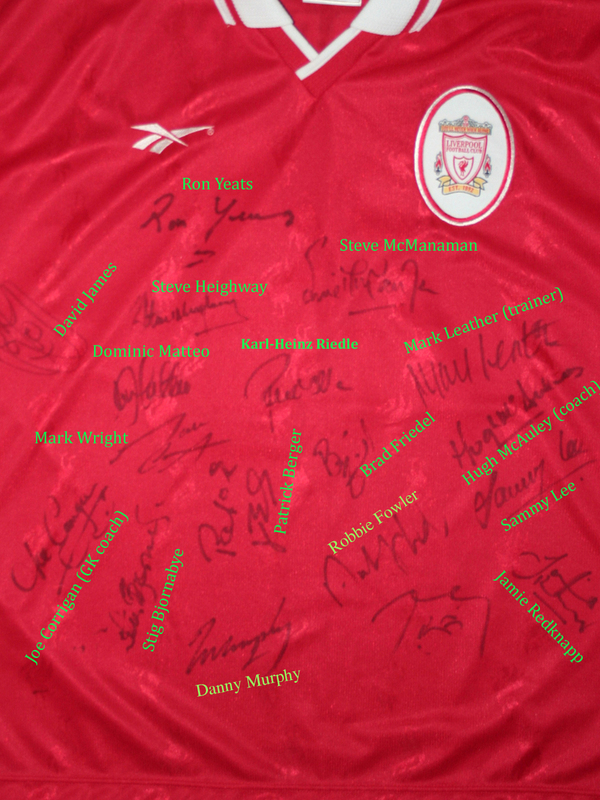 This shirt was formerly sold in a charity sportsman auction at Liverpool Football Club. It's fully signed by staff / players then.